Take his bath has never been so much fun! 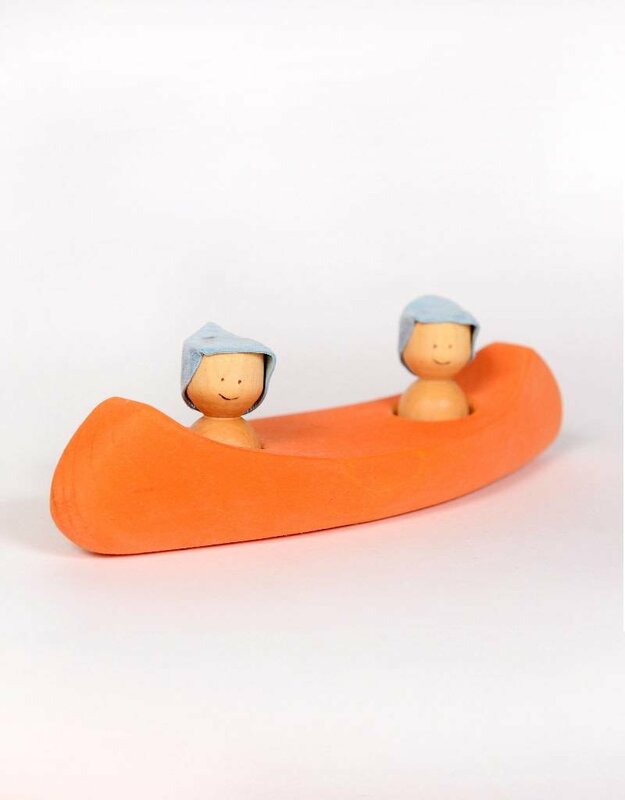 This small minimalist canoe that really floats leads children to great discoveries, stimulates their imagination and provides hours of fun. 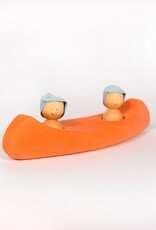 Our boat is perfect for playing in the bath, the lake or the small swimming pool. We do not recommend putting your boat in chlorinated water. Also great as a decoration! - The boat is made of pine wood. - The little men are made of maple wood, and their hats are in leather. - It is treated with a mix of linseed oil and beeswax. - Not recommended for children under 3 years. Contains small parts. For maintains it, we recommend to dry your boat between each use. It is also possible to protect the wood needed with a natural vegetable oil or a natural wax for wood.